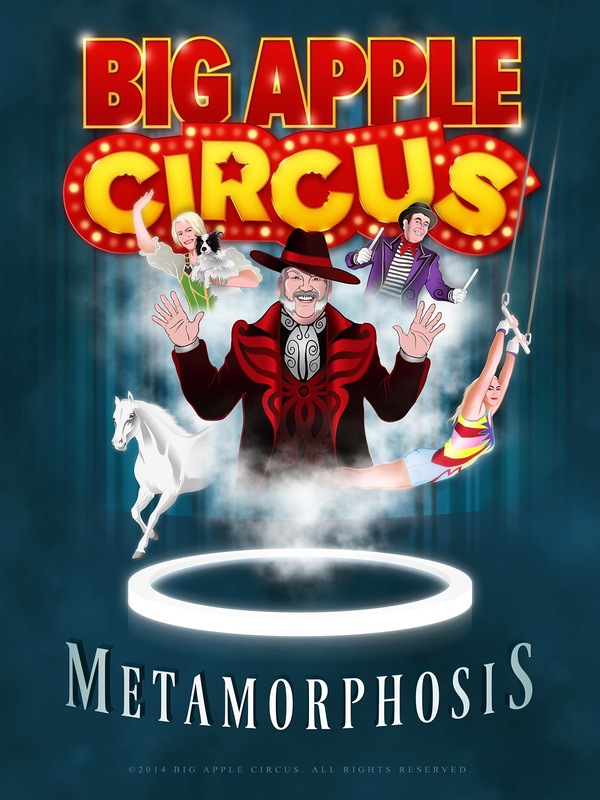 Last weekend my family and I saw the all-new show from Big Apple Circus, METAMORPHOSIS, at Lincoln Center's Damrosch Park. We all loved it and it truly is a perfect performance for the whole family, with plenty to keep adults entertained as well as older kids and tweens. My three kids, ages 10, 9 and 5, all loved the show , which is especially meaningful coming from my five-year-old son who can be a little picky about what holds his attention when it comes to live performances. The performance runs a little under 2 hours with one 15 minute intermission. We were seated about 10 rows from the stage, and could see everything perfectly. Even if we had been further back there really are no bad seats under the big top as no seat is more than 50 feet from ringside. I highly recommend the show for a super-fun and memorable outing for the whole family. 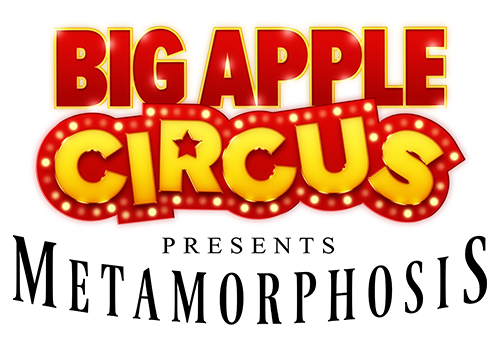 The Big Apple Circus is in New York City from now through January 11, so make sure you get there before it's too late. You can see the full New York City performance schedule here, and to find out where the circus is traveling to next, click here. There are some fantastic deals you can take advantage of when booking your tickets to select shows. 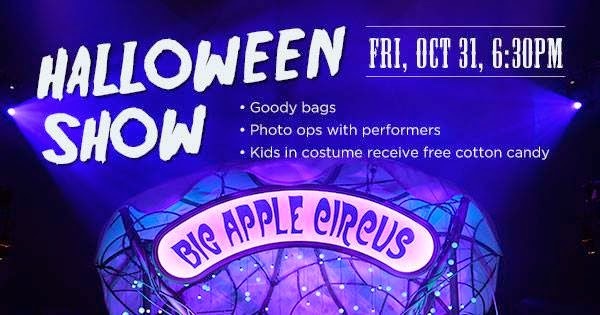 This Friday, October 31 the 6:30 performance will be a special Halloween Show with goody bags, photo ops with performance, and free cotton candy for kids in costume. Save up to $25 per ticket by using the promo code SPOOOKY. 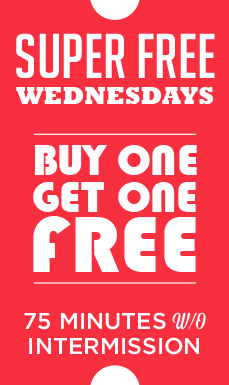 There are also special deals for midweek performances on Wednesday and Thursday nights. When you Purchase tickets use the Promo Code BIGAPPLE and save up to $25 per ticket! 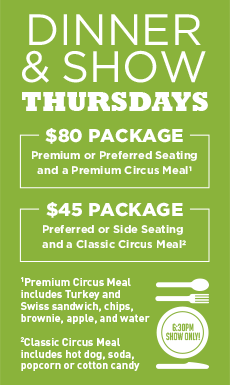 Please note: this offer has limited availability and is only good on select seats and shows. Other conditions apply. Children under 3 are free when on the lap of a paid adults, one child per lap. Thank you to the Big Apple Circus for providing tickets for my family to see the show. We all enjoyed it and opinions here are my own. No other compensation was received.